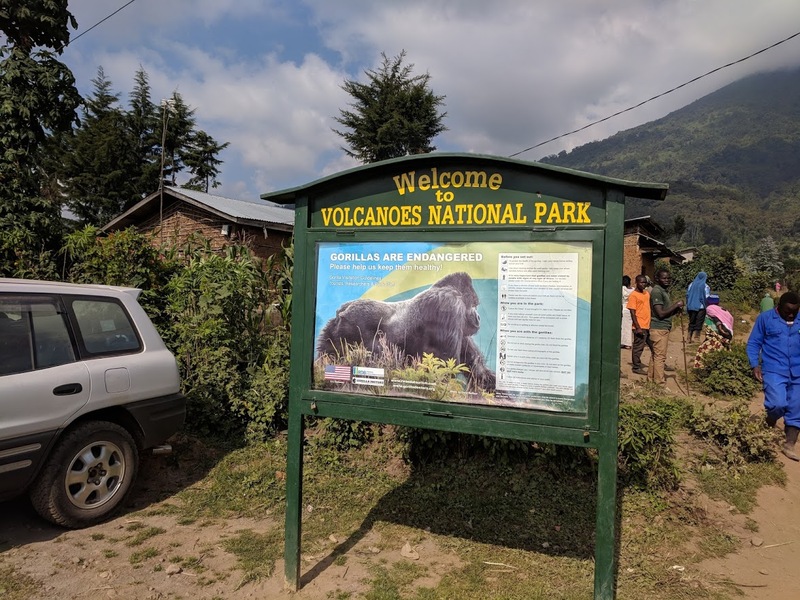 My African adventure was to include a hike up Mount Nyiragongo, an active 2 mile high volcano in the Democratic Republic of the Congo and spend the night camping at the rim and seeing the fiery lava lake in the darkness. 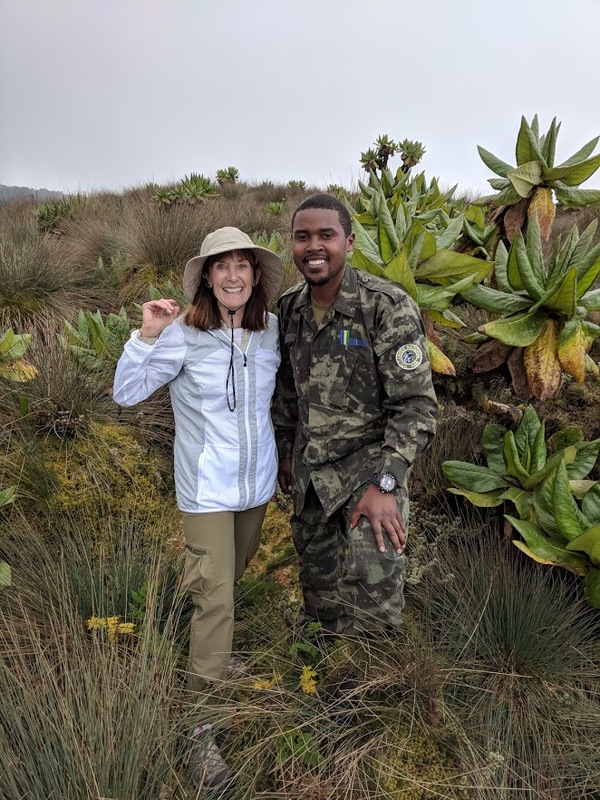 I have never been to the Congo and was excited to add it to my growing list of countries. 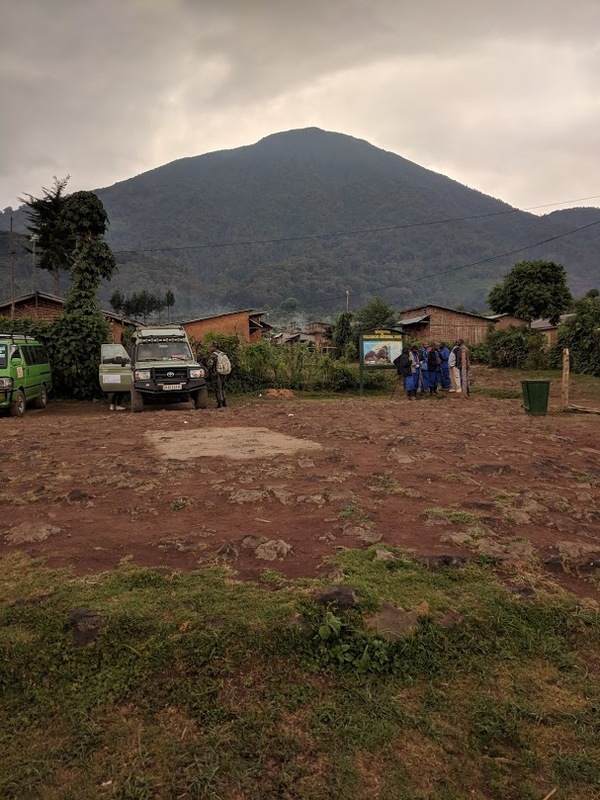 A month or so before departure,Helen, our tour leader, informed us that some British tourists had been abducted in the Virunga National Park (where we were going) and the gunmen killed a park ranger. She followed the situation letting us know that she may have to change the itinerary. 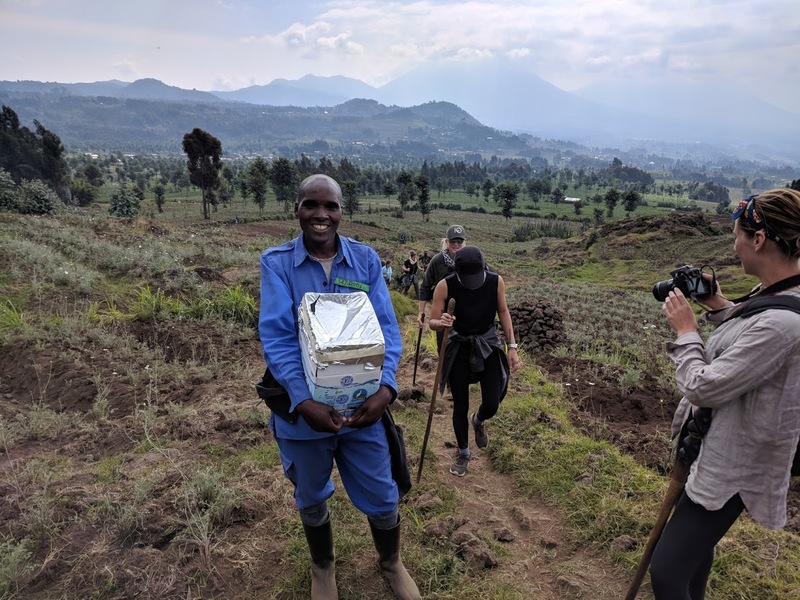 She suggested that if we still wanted to go we should consider kidnapping insurance and apply for an additional visa to get back into Rwanda afterwards. Without any proper thought I purchased both of those. Who knew? Kidnapping insurance is a thing! Luckily for me, Helen put forth an alternate plan when the park decided to stay closed for the rest of this year. 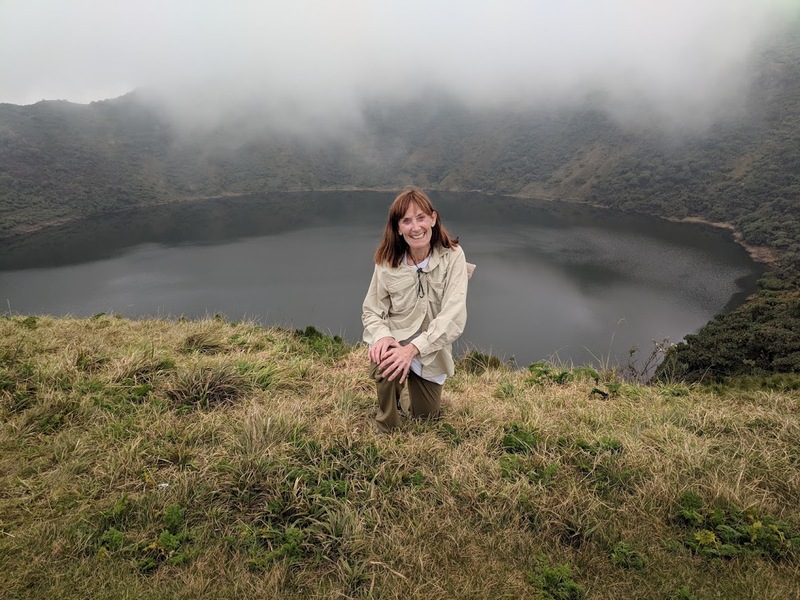 We would now climb Mount Bisoke, a volcano within site of the DRC in Rwanda with a lovely crater lake and an easier ascent. Upon reaching the summit one of the park rangers told me that the border between the two countries was within a few 100 feet and they agreed to take those who wanted across that invisible line. Of course! I had someone take my photo as proof. One of the tech-savvy youngsters who had joined me suggested that once I had WiFi I could double-check the coordinates on the picture. Unfortunately I didn’t do this until I returned home only to find out that I was still an additional 100 feet short…..last photograph is actually our group’s pizza delivery for lunch, a porter was paid to carry it up! 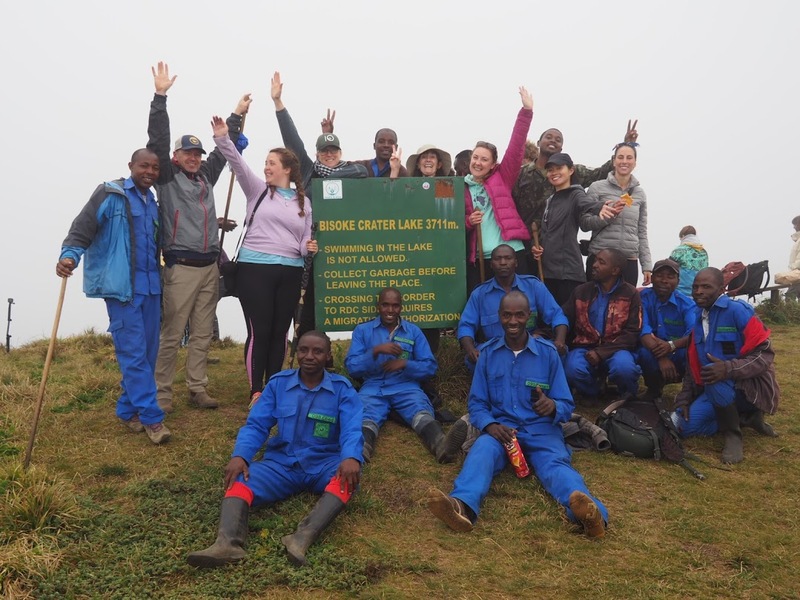 This entry was posted in travel and tagged Congo, crater lakes, hiking, kidnap insurance, Rwanda, tourists. Bookmark the permalink. Debby thanks for sharing this amazing experience. 100 feet ….so little yet so far! Where to next?